It is the regime that supplies rockets to Hezbollah or Houthis in Yemen,” Matisse added. Last April Mattis labeled Iran as “the single biggest state sponsor of terrorism in the world” . He stressed that he primary goal of the US is to fight the Islamic State and not the removal of Assad from power. Five members of Hezbollah are being tried in absentia for the 2005 bombing that assassinated former Lebanese PM Rafik Hariri . 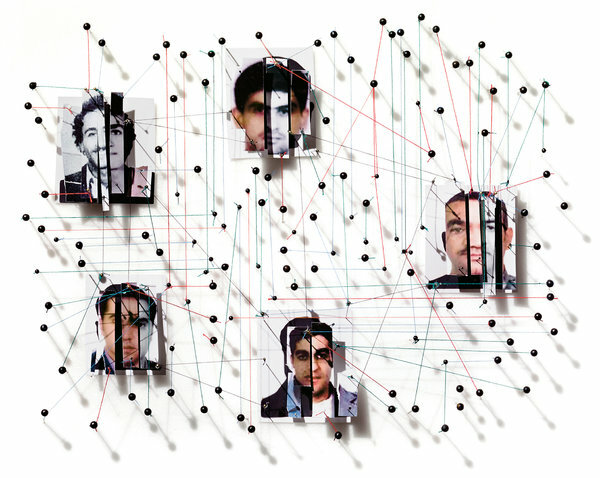 The defendants, clockwise from top: Hussein Hassan Oneissi, Salim Jamil Ayyash, Assad Hassan Sabra, Hassan Habib Merhi and Mustafa Amine Badreddine. Finally someone who has the guts and say it dead on. Obama would not dare say it and even rewarded Iran with Nuclear deal and 150 billion dollars bonus. Half of the jackasses listed above are either killed by Hezbollah and Iran already. However what I am pissed at is that Harirri was not only one killed by 3 axes of evil (Hezbollah, Iran, Syria). Many died those who criticized them and those who got too close to the investigation let alone the 18 others who got killed cause they were with Harirri Entourage at the time of the assassinations. After all Nassrallah has detailed information about the whole thing and even had his thugs followed Harirri wherever he went. Why did they do that? cause they were checking if Mossad were intending to kill Harirri. But why did not warn Harirri then? could it be a conspiracy between Israel and their beloved enemy Hezbollah. I think not.. Why did Walid Eid get killed when he was so close in discovering the network of Syrian, Iranian and Hezbollah agents among others. Why would Israel kill Walid? and Al Hassan the head of intelligence? Or where Hezbollah doing favors by killing those two patriotic and heroic government agents.. People who sacrificed their lives knowing they will be killed anyway. 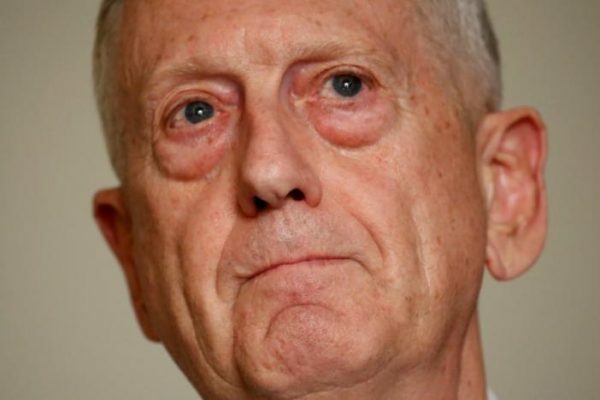 Go Mattis don’t hold back and show us please all the info. But i doubt it since the Tribunal will not allow it. I am sure the jackasses who are against what I said will come out from the woodwork and I am waiting to clubber you with Iron Fist. You will soon have the Iranians (Omega) here to support their bearded wonders. He will give you a story written by a troll in a basement that HA was not responsible. He loves to polish Hassans shoes. No Lebanese would support a gang with weapons to start world war 111 sitting on State land and run around as if Lebanon belongs to Iran. I call it brainwashed with resistance bulllllshiiiiit. I invite you to contradict the points I presented in the commenting section of this article. Hezbollah’s MO is denial of responsibility. You see it in all of their terrorist crimes. Beirut 1983, Kuwait City 1984, Buenos Aires 1992-4, Khobar Towers 1996 and Burgas 2012. Everyone knows that Hariri was murdered by the Axis of Resistance. HA terrorist supporters blame it on Israel. They blame Amal for the 1983 Beirut Barracks suicide bombing. Suicide bombings, airline hijackings, hostage taking, assassinations of heads of state, training other terrorists (like AQ in Sudan), videotaped torture sessions of CIA officers, drug trafficking in S America and money laundering. Hezbollah wrote the playbook for modern day terrorism. I am not fan of beards. You will rather see me present evidence that Syria, Hezbollah and Iran had nothing to do with it. If you believe and can show otherwise (in contradicting the points I presented in the commenting section of this article), please do. • Mattis barks but provides no evidence that Iran was behind the killing of Hariri. • I agree that Mattis should not hold back and show the evidence/info but why would the Tribunal hold back? • Who did Hezbollah and/or Iran kill “for getting too close to the investigation”? The investigation was lead by the Special Tribunal for Lebanon (STL) in the Netherlands. There was also documentary in Lebanon that exposed a recording between an ICC investigator (Gerard Lehman), a former Syrian intelligent officer who defected (Zuhari Seddiq), Wassim al-Hassan and Saad Hariri where they fabricated the fake testimonies. Their intention was to blame Syria via four generals (one of them being Jamil el-Sayyed). When el-Sayyed refused to take part of the conspiracy, he was arrested for four years along with the other three (without evidence). Lehman was also caught on tape taking a bribe to leak cooked up info. Despite causing a major political turmoil in Lebanon, the fake/bribed witnesses were let go without any charges (perjury is a serious crime) – and given witness protection abroad. Wassim al-Hassan (who was very close to Hariri Sr. and always by his side but miraculously absent the day he died) was promoted and given more power – even though he was an accomplice to perjury. In his speech, Nasrallah matched the intercepted images with several assassinations carried out in Lebanon in the past decade evidenced by confessions of the captured Israeli agents in Beirut, Sidon, and Tyre. He then showed extensive images taken by the Israeli drones for over a five-year period of Rafik Hariri’s land routes across Lebanon- to and from his offices and residences in Beirut, his summer home in the mountains, and the coastal route to his brother’s residence in Sidon. • Do you have evidence that Walid Eido’s death was related to his “discovering the network of Syrian, Iranian and Hezbollah agents among others.”? How was/is it a discovery anyway when it was/is known? • Wassim al-Hassan was killed two days after threatening the Diyar newspaper’s editor in chief for exposing his ties/meetings with Mossad officers (and Saad Hariri’s meeting with Israeli ministers). It could have, also, been anyone for many reasons. If you have evidence pointing at some more than others, please show. • You claim that you will tackle anyone who is against what you said with an iron fist (that is actually made of emotions). If you believed Syria, Hezbollah/Iran did it, please provide counter-evidence for the many points I presented to you and in the commenting section of this article. Mattis is not the first or the last to advance accusations without providing the slightest evidence. He also seems completely oblivious (read: knows but prefers to continue lying) that neither Syria nor Hezbollah/Iran had anything to do with the killing of Hariri Sr. (and twenty one others). The killing of Hariri was a false-flag incident aimed 1) removing Syria from Lebanon (no complaints there), 2) disarming Hezbollah and 3) starting another civil war in Lebanon. When the false-flag assassination failed to disarm Hezbollah in Lebanon in 2005; Israel, the US (from Cyprus) and elements within the Lebanese government (Elias Murr) retried with the war between Hezbollah and Israel in 2006. While four Hezbollah members were tried in absentia for the killings, the indictment was based on a flawed premise that was built upon a theory. The indictment of four men linked to Hezbollah in the 2005 assassination of Lebanese Prime Minister Rafik Hariri made public by the Special Tribunal on Lebanon Aug. 17 is questionable not because it is based on “circumstantial evidence”, but because that evidence is based on a flawed premise. There was also the collusion between high-ranking Lebanese officials (spying for Israel) and Israel that shed doubt on the Special Tribunal for Lebanon in charge of Hariri’s death. Outside the obvious deleterious ramifications of high-ranking Lebanese military officers working for Israel, the very legitimacy of the Special Tribunal for Lebanon (STL) is now in question. Several of the UNIIIC’s prime witnesses have admitted to perjury, accusing the US-Israeli backed Lebanese government of bribery and foul play. Witness Hussam Taher Hussam claimed Future Movement MP Saad Hariri (son of former Prime Minister Rafiq Hariri) offered him $1.3m USD to incriminate top Syrian officials. Witness Ibrahim Michel Jarjoura said he was assaulted and forced to lie by Lebanese Telecommunications Minister Marwan Hamade. Star witness Zuhir Ibn Mohamed Said Saddik, who had accused Lebanese President Emile Lahoud and Syrian President Bashar Assad of ordering Hariri’s murder, bragged of earning millions by falsely testifying to the UN Commission. After it was found that an underground explosion would not implicate Syria- but rather the pro-US/Israeli Lebanese government who had supervised road work in the days before Hariri died- the focus shifted to an above-ground blast via suicide bomber. Though much of their discredited testimony is still included as evidence, both UNIIIC prosecutors Brammertz and Mehlis said that the use of lie detector tests was not an option. In his country, Mehlis has been rebuked for unethical and unprofessional practices. According to Germany’s Junge Welt magazine, former UN investigator Detlev Mehlis received a $10m USD slush fund to rig the UNIIIC outcome against Syria. An inquiry by German public TV Zweites Deutsche Fernsehen found that Mehlis had relied on CIA, MI6 and Mossad intelligence in prior investigations, namely the Berlin Disco bombing of the 1980s where Mehlis knowingly used testimony supplied by Arab Mossad agent Mohammad Al Amayra in his case against Libya. Mehlis also relied on NSA intercepts of fake telephone calls that former Mossad officer Victor Ostrovsky revealed were made by Mossad agents, posing as Arab terrorists. The phone calls proved Libyan guilt and justified America’s bombing of Libya. According to United Press International, Stratfor’s report on the Hariri crime concluded that the Lebanese assassinations were “so sophisticated that few in the world could have done it.” Burton told UPI that only five nations had such advanced resources- Israel, US, Britain, France and Russia. In all these routes there were no Hezbollah targets, offices or bases, leaving no doubt that Hariri was the target of the drones that were taking images from all angles, especially those close to the coastal areas, while pausing and zooming at the points of intersections. The Hezbollah leader pointed out that just this past year the Lebanese authorities arrested several Israeli agents who confessed to penetrating the mobile communications network across Lebanon. In essence, the Israeli Mossad has had the capacity to intercept and plant any communications in Lebanon. He also exposed the most dangerous Israeli agent in Lebanon in the past two decades as being retired Army Brig. Ghassan Jirjis Al-Jidd. He not only assisted missions logistically by picking up and driving Israeli assassination teams throughout Lebanon since 2004, but he was also an operational agent, carrying out several missions on behalf of the Israelis including carrying and planting bombs, as confessed by other captured agents. Al-Jidd was also placed at the scene of the crime on February 13, 2005 one day before Harriri was killed. But after he was exposed by Hezbollah in 2009, Al-Jidd was able to flee to France, then to Israel hours before he was to be apprehended by the Lebanese authorities. Nasrallah finally disclosed that an Israeli reconnaissance plane and an Israeli AWACS were flying over Beirut on the day of the assassination for four hours from 10:30 am until 2:30 pm encompassing the 1 pm time of the assassination. He questioned whether it was a coincidence that an operational plane would be flying so close to the location at the time when the crime was committed. Mattis is not the first or the last to advance accusations without providing the slightest evidence. He also seems completely oblivious (read: knows but prefers to continue lying) that neither Syria nor Hezbollah/Iran had anything to do with the killing of Hariri Sr (and twenty one others).